The title of this book is very misleading (though the sub-title is slightly more telling [though none of it is by any means a ‘secret’]). 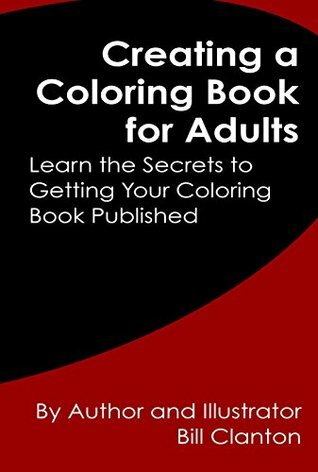 When I selected this book as one of my Kindle Reads selections, I expected it to offer up information on creating a coloring book. You know – tips on what makes for good images or how to convert an already color drawing into a black and white, hollow image. Or at least SOMETHING about the creative process altogether. Be creative and try to be unique. When you are creating your coloring pages, keep in mind the individual that will be coloring those pages …. Large amounts of very small details can actually turn some readers away. There is, to be fair, a small but reasonable amount of technical details that could be helpful (ie: Sketch to Vector), but really this book deals with the process of posting a book to a self-publishing site such as Amazon’s. Really, there are many other books on this subject that are more thorough and well-designed. Author Bill Clanton’s coloring books are nicely done and I expected this ‘how-to’ book to be much more helpful in the actual creating of a coloring book and not just in the producing of said book. Looking for a good book? There are books that are helpful with tips on how to create a coloring book, but Bill Clanton’s Creating a Coloring Book for Adults is not one of them.